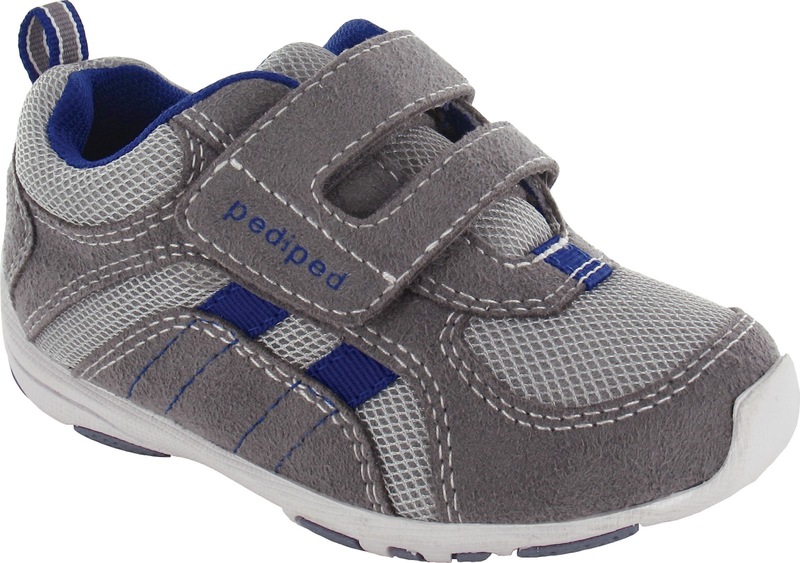 pediped® footwear was created in 2004 by Angela and Brian Edgeworth. After their first daughter Caroline was born, Angela started to do a lot of thinking about footwear and the kind of shoes that would be best for her child. She wanted a shoe that was comfortable and stylish and that could be worn both indoors and out. Most importantly, she wanted a shoe that was healthy for her daughter’s feet. After doing a lot of research, Angela discovered that doctors recommended barefoot walking or soft leather sole shoes, but the choices for infants and toddlers were limited.That is when Angela and her husband Brian decided to create the perfect shoe, which would be “the next best thing to bare feet”. pediped® has become one of the fastest growing children's footwear brands in the U.S. and offers more than 120 designs spanning EU sizes 17-33. pediped’s three footwear lines include Originals® (soft soled shoes for children ages birth to 2), Grip ‘n’ Go™ (soft rubber soled shoes for children 9 months to three years) and Flex® (rubber soled shoes for children 1-8 years). pediped® is sold all around the world. ﻿We received the Originals Isabella - Chocolate Brown to review. 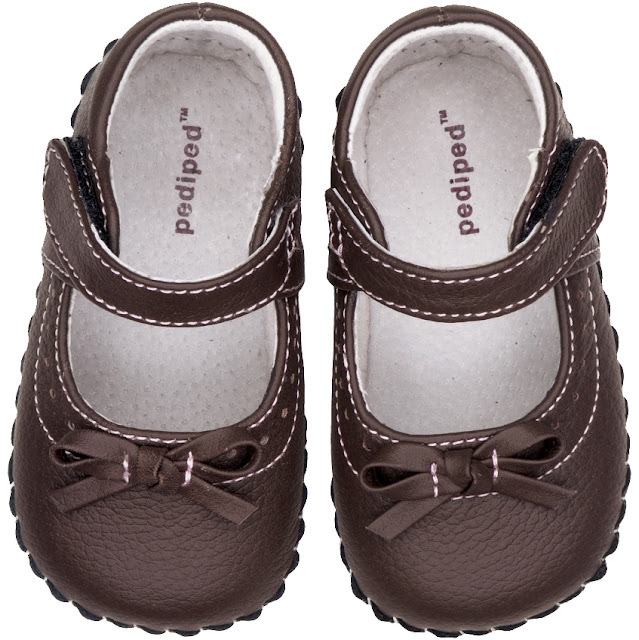 A pediped® classic, Isabella Brown goes with a multitude of outfits and can be dressed up or down. 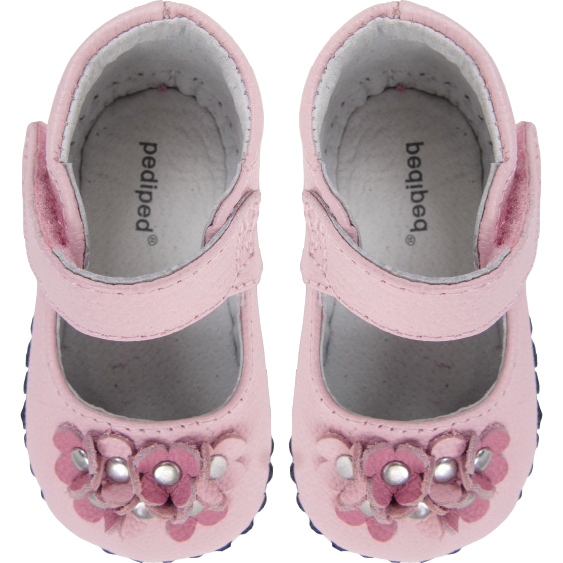 These adorable pre-walkers will allow her to closely mimic barefoot walking in pure comfort. As you can tell by the picture, they are just absolutely adorable. They have soft soles which I love most about them. I feel it is much easier for my daughter to walk in then the shoes with harder soles. I see them move and give with her when she walks. She loves them too. When we get ready to go out she always goes and grabs these shoes and tries to put them on. My baby girl is 14 months old but the next best thing I love, is they have shoes for kids of all ages. They carry size up to boys size 7 and girls size 8. They have a ton of different styles, colors etc to choose from. Please comment with your favorite part of our review. Visit http://www.pediped.com/ for where to buy your pedipeds. Follow Pedipeds Footwear on Facebook. 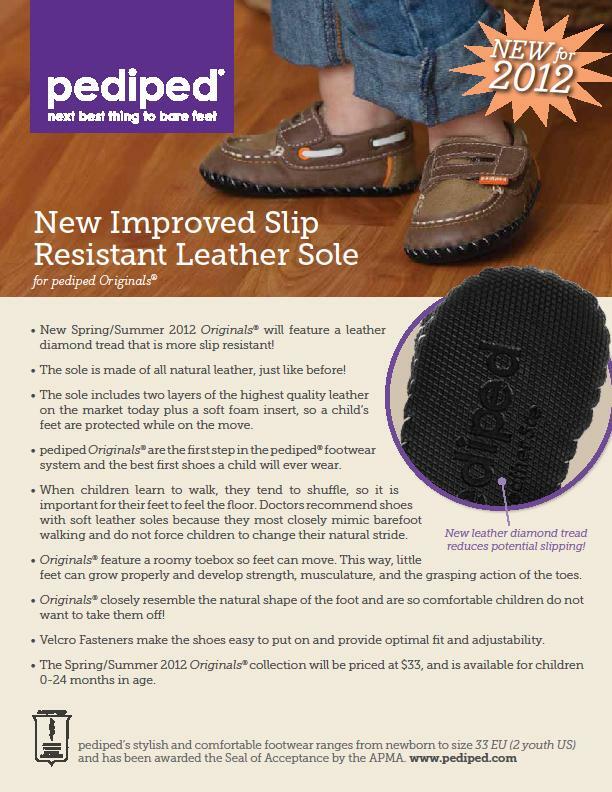 Follow Pedipeds Footwear on Twitter.